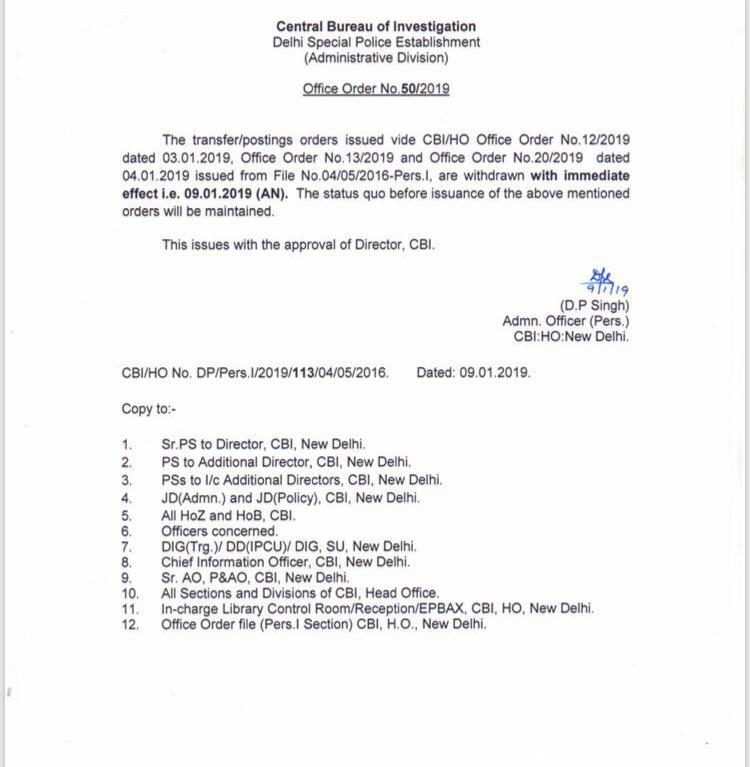 A day after being reinstated as the CBI Director, Alok Verma on Wednesday revoked most of the transfer orders, issued by the interim chief M Nageshwar Rao in his absence for nearly three months. A similar directive was issued in the second order with the approval of Verma, who was removed from his post in a midnight coup on 23 October by the Centre’s Narendra Modi government. The Supreme Court on Tuesday had revoked the central government’s action and reinstated Verma in his post. 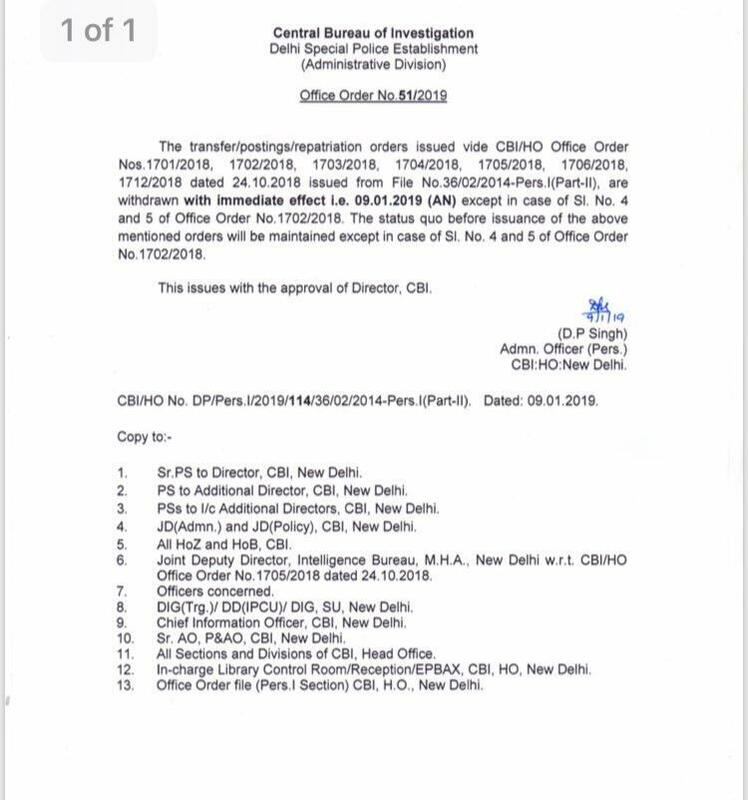 Rao, after being appointed as the interim chief, had ordered the transfer of 13 officers including 10 from Verma’s team. 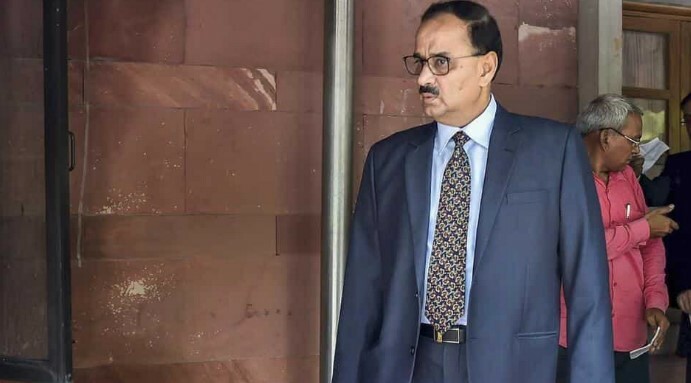 Although, the Supreme Court had ruled that Verma could not take any major policy decisions, experts say that the CBI chief can still order filing of FIRs and transfers of officers in the federal probe agency. They argue that Rao too had carried out such duties despite being directed by the top court to not take any major policy decisions. The Centre had showed utter disdain to the immunity provided by the law to a CBI director by unceremoniously removing him from his post. The law says that a CBI Director must have a fixed term of two years and any decision to remove him before term can only be taken by the selection committee comprising Prime Minister, Leader of Opposition and Chief Justice of India.